Chivda. 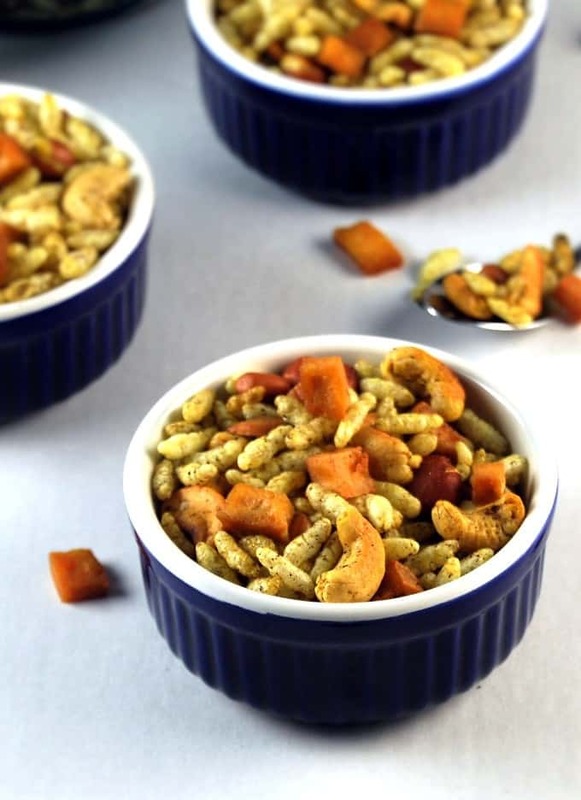 When it’s time for some “timepass,” there’s just no other Indian snack mix that comes close to this one. 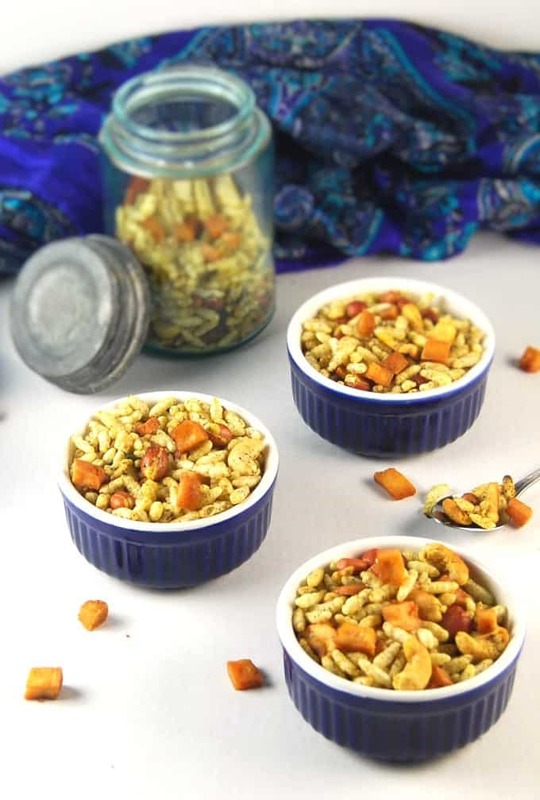 It’s simplicity itself: crispy puffed rice or rice crispies tossed with nuts and a few spices. And yet it packs a heavy punch. 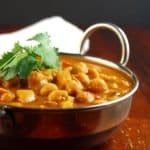 It’s delicious and addictive and — although the Indian cooks who invented it way back when probably never meant it to be that — it is quite possibly the best thing to snack on with a cold glass of beer. All of which makes it perfect Gameday eats. My version of Chivda is a crowd-pleaser for sure. It’s crispy and nutty and spicy and tangy, all at the same time. It is also quite healthy, or at least far healthier than most Gameday food tends to be. Most of the ingredients that went into my Chivda are traditional, but I topped off all of the goodness with some crispy Chipotle TofuBaked from Nasoya, which asked me to make a unique recipe using this product for Gameday. The baked tofu is organic, gluten-free, and packed with 32 grams of protein in each 8 oz pack, but above all, it is delicious: I had a hard time stopping myself from snacking on it as I diced it for the snack mix. And the fact that the tofu is baked, meaning most of the water is already out of it, makes it easy to crisp it up to a great texture. When mixed up into the Chivda, it adds more healthy protein and even more texture, its crisp chewiness complementing the airy rice crispies and the dense nuts quite beautifully. 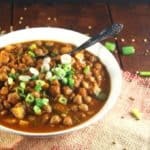 Chipotle is a great flavor for Indian food which, as everyone knows, tends to pack on the heat (try my Chana Masala with chipotle if you haven’t– you’ll be bowled over). This recipe is not all I have for you today. Nasoya is offering five free product coupons for a lucky reader, and I really, really want it to be you. Just leave me a comment below telling me what you’d like to make with Chipotle TofuBaked. Easy. I’ll announce a winner in a week, on February 9. 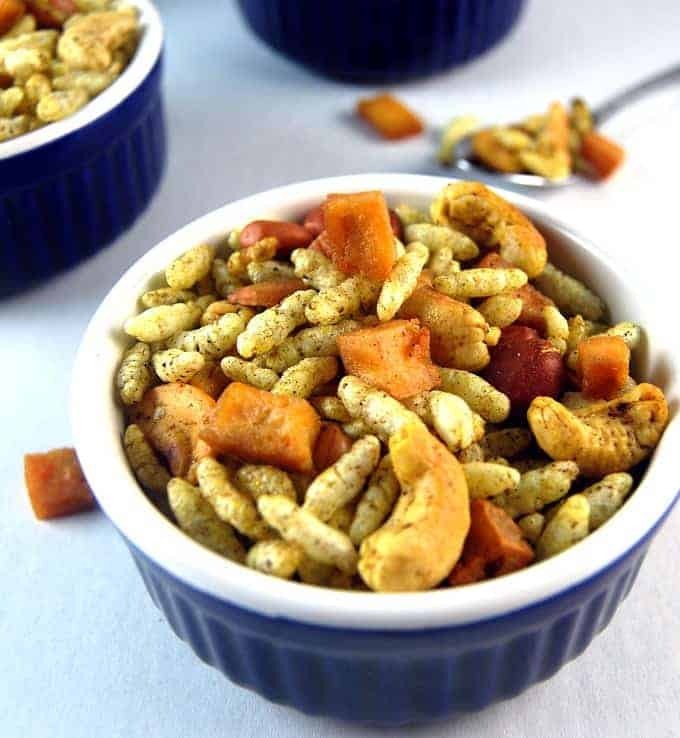 Now for the recipe for this Indian snack mix, Chivda. This one’s a winner. 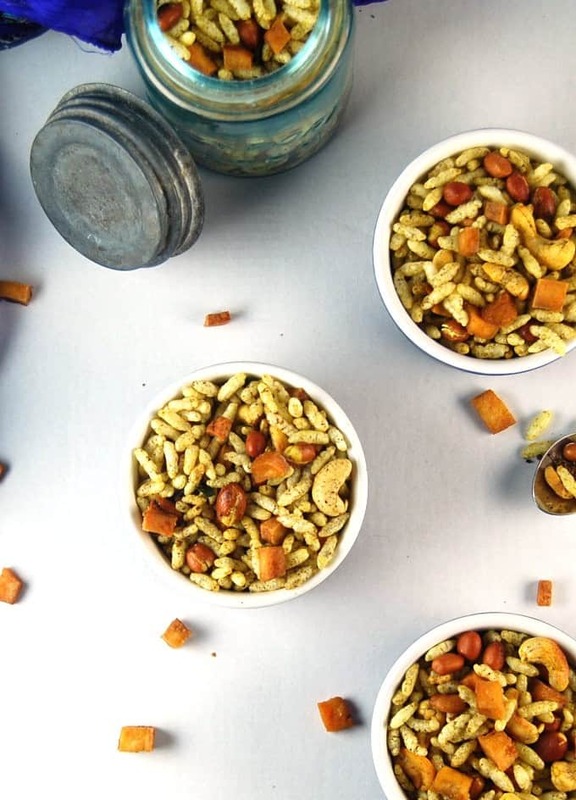 A savory, crispy, spicy snack mix made with rice crispies, nuts, a few spices and crispy chipotle tofu. Perfect food with a cold glass of beer on Gameday. Place the rice crispies in a large dish and microwave on high for 30 seconds. Stir the rice crispies and microwave 30 more seconds. Don't let them go any longer because they will burn. 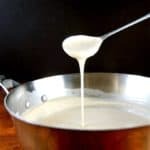 This technique makes the rice crispies really crisp and you don't have to fry them in a ton of oil, as was traditionally done. Cut the tofu in 1/4-inch cubes. Heat the oil in a deep wok and stir-fry the tofu in 2-3 batches until golden brown and crispy on the outside. This took me about 5-7 minutes per batch over medium-high heat. Remove the tofu to a bowl lined with a paper towel and set aside. Add mustard seeds to the remaining oil in the wok. When they sputter, add the curry leaves. Let the curry leaves fry 1-2 minutes until they crisp up. Add the cashews and peanuts and stir-fry for 4-5 minutes until the cashews turn lightly golden. Add the cayenne or paprika and turmeric. 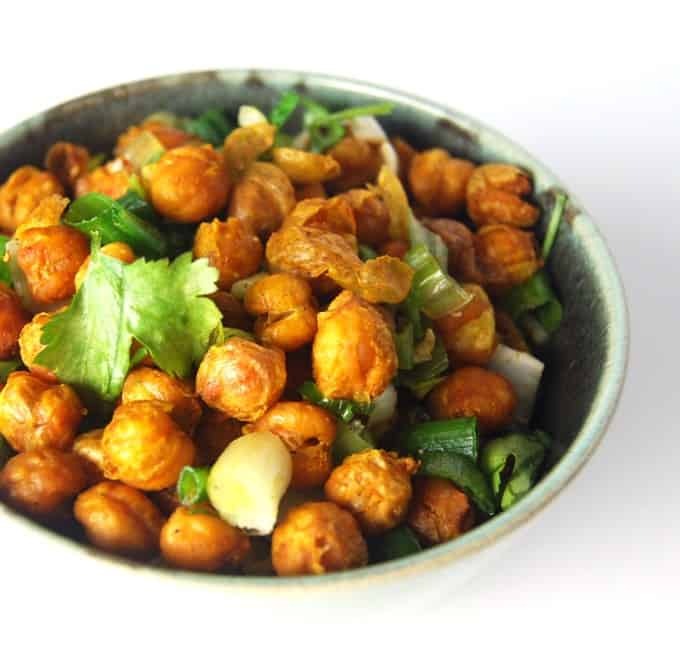 Toss together, then add the rice crispies and the chaat masala. Stir well to mix. Turn off the heat and add salt if needed. This tastes great hot but it is usually served at room temperature. 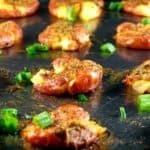 More Gameday recipes from Holy Cow! Or scan the archives for dozens more. Vaishali, you temptress! First those yummy roasted chickpeas and now this deliciousness! 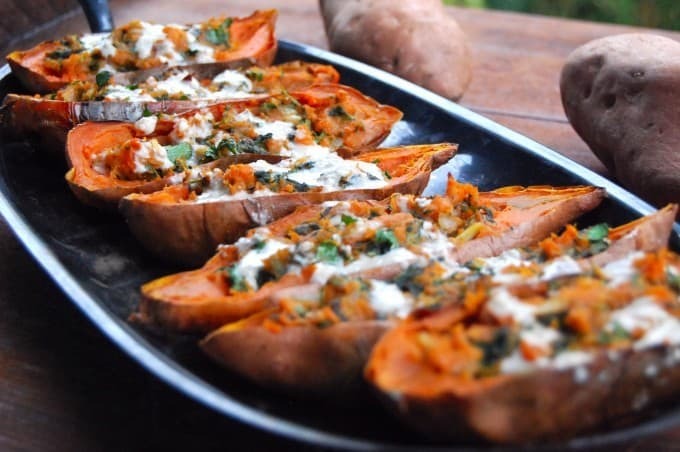 I’m going wild for everything you posted on this page, including those sweet potato skins and the masala smashed potatoes (be still my heart). 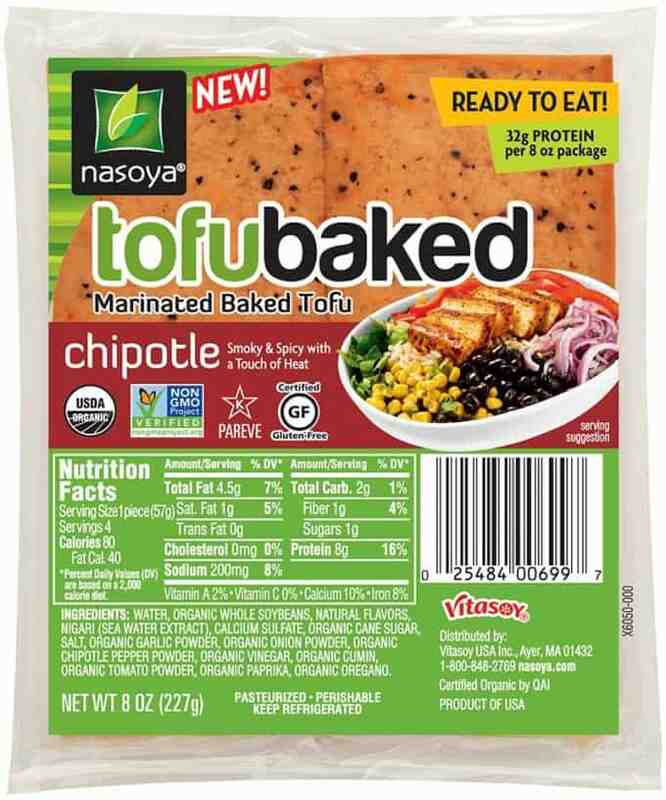 I would totally love to try Nasoya’s Chipotle TofuBaked in any context, because it is the first commercial marinated tofu I’ve seen that is gluten-free — a big deal for me. 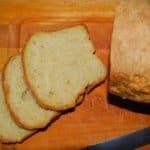 You can be sure that I’ll look for it at the store and will try this recipe for nutty munchies if I find it, and probably buy more Nasoya tofu than required so I can use it in other ways. Your posts are music to this glutton’s ears. Eyes, really. And stomach. Oh, just all over. 🙂 Okay, I’ll simmer down now. Sounds like chili would be great with a chipotle flavored tofu, either in the chili or as a garnish. Oh yum! 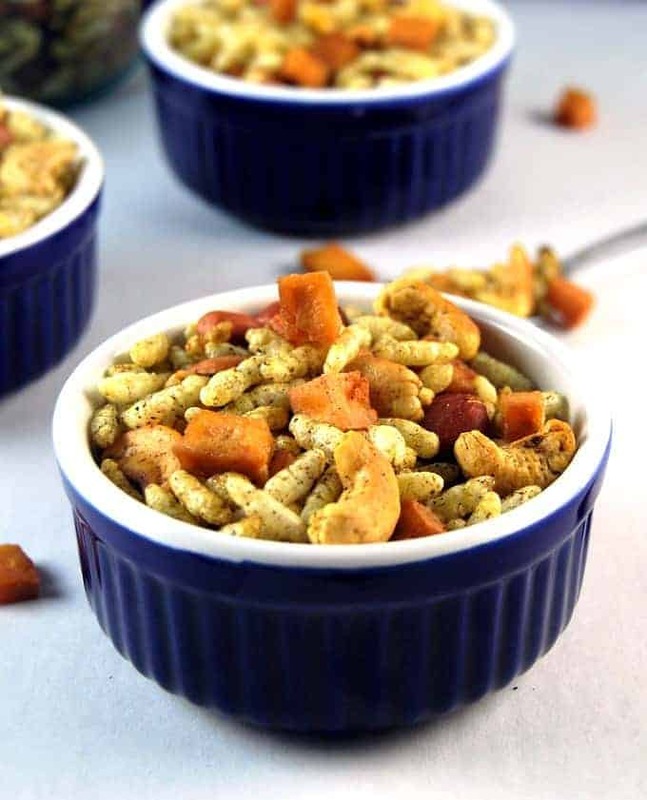 This snack mix is perfect- I’ve been missing snack mixes since I was diagnosed with celiac disease! As for the tofu, I think it would go perfectly in tacos! I will probably add the roasted chickpeas along with this mixture, then put some tahini sauce and some hummus on the side. What a great crowd pleaser. No more bagged chips at the table! Thanks Vaishali! The tofu would go in my slow cooker stew! Looks delicious! My first thought was to just give the tofu as is (after crisping) to my toddler, she didn’t eat the the tofu I made last time! I would use the chipotle tofu to make fajitas and tacos. Yum! 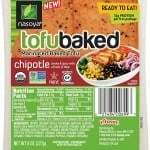 Nasoya chipotle would be fantastic in my mason jar taco salads! I’d make burrito bowls with this! I would make some vegetable fajitas with Chipotle TofuBaked! I would make some tofu tacos! This recipe looks really unique and tasty. I’d love to try that tofu, I’m sure it’d be good on top of salads and rice bowls. I’d keep the chipote tofu simple by adding it to a salad or a sandwich with vegan mayo and maybe some BBQ sauce ..mmm! Wow what an addictive gameday snack you got there Vaishali. Love the addition of baked chipotle tofu to it — must have made it so yummy!! I would add top my Mexican rice & Bean bowl with the baked chipotle, avocado and cilantro for a filling meal. 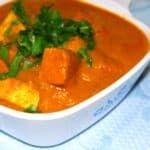 Vaishali, The chi said looks yum., those containers you are serving in look awesome. Do you mind sharing where you got them? 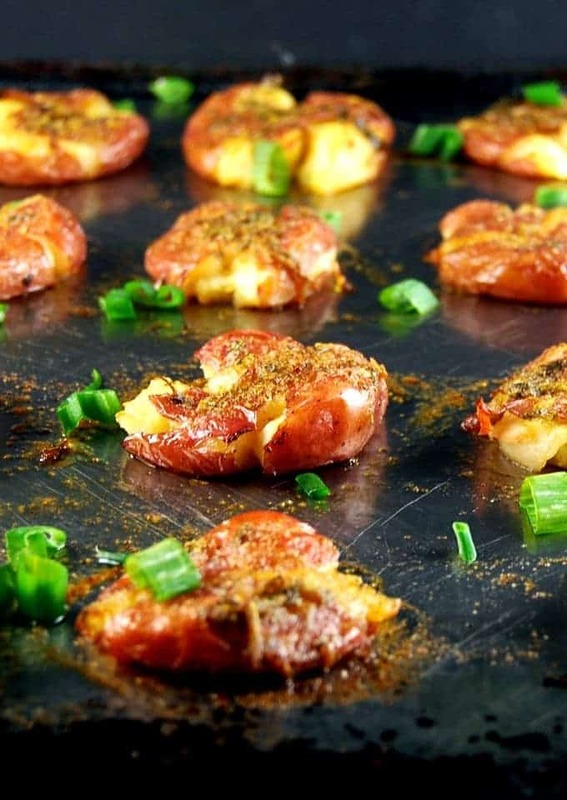 Looks good and it has a spicy protein component too! A good addition to sandwiches too.Two points of clarification please. At what point do you mix the tofu and rice crispies? Since the tofu is crispy on the outside, I am sure it would remain a bit soft on the inside. Would it not soften the rice crispies too, if everything is mixed and stored? This would be amazing in a stir fry or a mexican-inspired quinoa salad with black beans, chipotle tofu baked, salsa, avocado, and peppers. That’s easy: I’d like to try the chivda! This tofu would go very well in a chili dish or served cubed and fried with some guacamole and tacos or in a burrito, etc., etc.! I would love the eat this in a burrito! !